p.m.terrell is the pen name for Patricia McClelland Terrell. 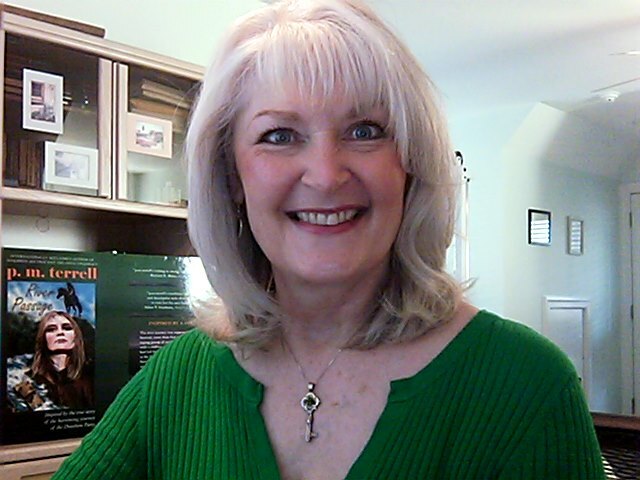 She is the author of more than 20 books in four genres: suspense, historical adventure/suspense, a how-to book for authors, and computer how-to books. She gained international attention with The China Conspiracy and PBS has made five thirty-minute shows based on her books. River Passage won the 2010 Best Book Award (Bengal Book Reviews) and Vicki’s Key placed as a finalist in both the 2012 International Book Awards and the 2012 USA Best Book Awards. The Tempest Murders is a 2013 Best Book Awards Finalist and a 2014 International Book Awards Nominee. The Pendulum Files is a 2014 Best Cover Design Nominee.